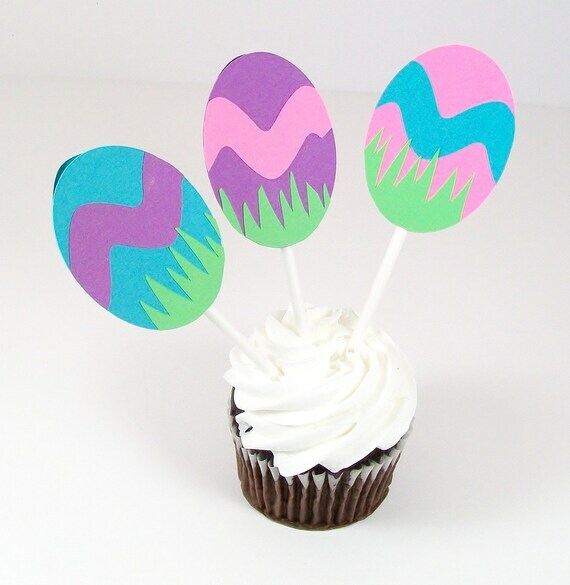 Chocolate bunnies, colored eggs, and oh so sweet cupcakes! They just go together, donâ€™t they? Two inches tall and handmade from spiky grass to sweet little zigzag these are a wonderful spring time addition to your favorite confections. A set of 12, you will receive 4 of each color; blue, pink, and purple.